Philip I of France, “King of the Franks” Henry I of France, Robert II of France, “The Pious” Hugh Capet Hugh The Great Robert I of France, Robert of France, “the strong” Robert III of Worms. son David, Grandson Robert Elijah John Rockett Richard Rockett Robert Abernathy  Robert A. Abernathy  Roger Tilghman Christopher Tilghman Jr. Christopher Tilghman Sr. 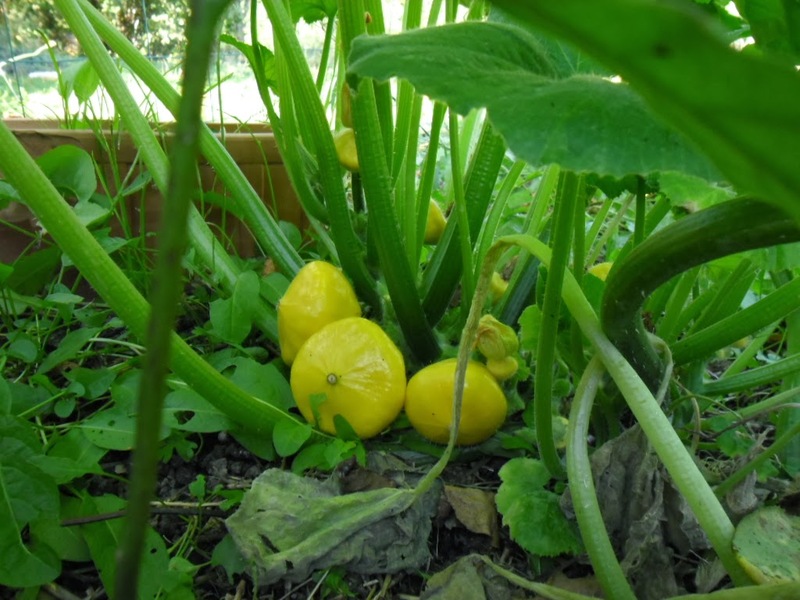 The Rocket name, in french is the derivative of Roche, and originally in older dialects with the namesake of Roque, and there is a sharp tiny lattuie, (lettuce) known as Roquette. When dealing with the Vaux name change. Vans being the phonetic correct in English of the french word "Vins". through Maud Chester, (listed on previous blog) from Normandy and Bretagne since the times of William the Conquerer and before. was most likely from recent american dialects. there is the usage as... men of a great tribe who used bows and arrows. as valley is a place and wo is a question. You are from which valley? 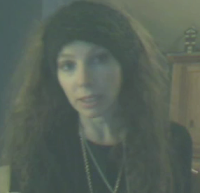 and how is it going on with you as a person, in retrospect to life experiences. Back to Valley , where more beautiful Vaux's become Beaus. which leads to the above beautiful valley version or an ok valley. where the B valleys are easier mountains. could save your life in the direction of where, physically. The Viking Areas or the Bascogne, Many of the Northern mountains are not hikable, unless a mountain sheep. that probably returns to local claims from the Bascogne in spoken tongue as their regional lands. hence the perplexion becoming a need to create a religion with plural wives, such as mormonism. Keep the valleys filled with your army of persons, to maintain ownership. once the owners have forfeited their lands to go elsewhere. it brings a real ownership back for the persons from the heritage of that family. Non-disputed to be kept with persons of that family, who do not abandon it. * only listed with my Grandmothers line, no star indicates both Grandparents share the same royal ancestor of King Edward III, 21 generations ago. the 1300 time frame. 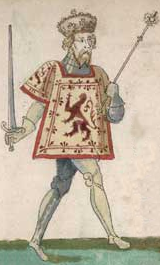 A Scottish King, found through his daughter Margaret Stewart. may actually find one-self at deaths-end quickly. for the beauclerc children, etc. It is an inland variety, here in France. I was trying to get to the king-line, away from Edward the third and found a line through, much earlier...with the Earls of Chester. 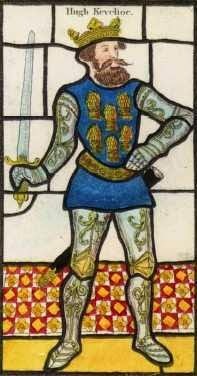 The earls of chester, with Rundulf, le Meschin, and others, are inner-fixed in Normandy, Calvados region for quite a while, and the Guernons, built at least one castle during that time. There was a web-page stating 50 or so manor houses in conjunction were given to the Chester Earls, in the Guernon area, so I suppose they are somewhere on the books as a property title that is historically deed-owned. leading to her mother as Agatha of Kiev. Malcolm is buried at El Escorial Palace in Madrid. 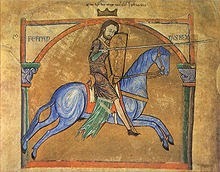 and Henry the first as the English King. Leading into Aethelrred "the Unready". So many new names, even Malet, though tech problems have persisted, and I just can't get gedcom to work with ubuntu, it crashed the server, and I had to re-install. My little chart program can't handle it anymore. so I made those new quickie charts above, to help document it. because going back to the castle keeper ages, 700-1000 yrs gets time-consuming. leading to another red-haired link in the south for the Vaux's. also a discovery of another Vaux line, that of Harrowden. yet there was Eleanor Castile. bringing in a young looking curley red-blondish type. away from this poetic ruler. where the saunders was not being found as being married to a Whetenhall, but it was recovered to find Alice Aly of Berkeley. In those times, genealogy is really bad for the heart. because of an online database, stating another name. I prefer to already know my convictions of purpose rather than require these lines as a necessity, but the peoople are so diatribed into this family tree being exact. It does seem odd, when years before, great leaders simply took over, rather than databased into rule. so I have been jestered into its work servitude, of proof. A shame to those who require the witness in proof any further. I know I am being silly, at the moment, but it does appear that from this one line, I personally encompass, most of europes property. "I coulda done that", well they didn't. So your stuck with me for a while. along with many new names of find. from around saunders and whetenhall. see the surname update page for more details, as unruly as it is, I try to keep it as up to date as possible. Why this genealogy searching is so upsetting into ups and downs, names here and then gone, along with the have-to of distancing away from others in order to succeed with a database. It's become tremendously fierce, in genealogy searching as of late, as to feel armies of no-lovers chase, merely to run you over, with their complete histories found. 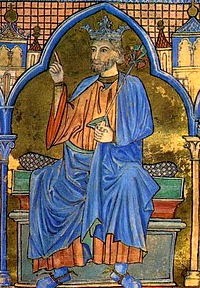 the 3 subsequent kings began with the Emperer Alfonso VII of León and Castile, on red-haired looking moors on the left. Blue horses, blue robes, a different blue from cobalt blue, they had to have used turqouise somehow. keeps a ready-made cooked chestnut company. the Alfonzo kings great grandfather has an incredible likeness to the nouvaux duke of France, Rene. written in France and the USA. This particular line, has 15 or so, reigns of French Kings. 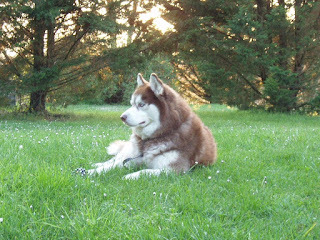 such as Berkeley, are direct descendants of the Capets. and do not have any castles here, to my knowledge. therefore they are not included as part of our royal property holdings here in France. that are part of the Royale Vaux's directly owned property holdings. We can call them then "The Capetti's" for short. It sounds like millions of people would have sprouted, from the French Capets, but due to several reasons the line was sparce: The Capetian Kings in general, had very few childen, and in later years of French Royalty and other Aristocracy it was made fashionable as to even have no children. Bringing the constant question: of who would inherit the throne? Leaving even Marie Antoinette in charge of France, to idle with the Kingdoms wealth. Which brought the massive ousting of the Royals from France, with the French Revolution. A history that is re-played, each year with the August celebration "Bastile Day". The day which still commemorates the peasant class away from Monarchy rule. The Aristocracy with their less-to-no children, were even guillotined by the revolutionaries, abruptly ending their blood-line forever. Others who escaped, such as the Fontaines, were helped by declaring themselves as religiously persecuted Huguenauts, rather than Aristocracy, in order to avoid being be-headed. The name Fontaine changed here in America, quite quickly, as followers could have found them out even that far away from France. because as Capetti Kings we formerly lived and died there, several times. we are forever inextricably linked as the keepers of france for at least another 500 years or so. and presume they even wish to denounce several of our Vaux intentions as lessors. we lose what is our inheritable rights of dominion. Please understand they are not all moving to France, so, perhaps they need to stay in America or wherever. of only these past 100 yrs. become a new royale family again. Due to weaker line input from non-political persons. the inclusion for themselves to be on grounds of any Vaux Kingdom Royal family property. then, ok, we have can include the young adult on the list. If after a time, what!! and some decide its "ok", to be in with Vaux Kingdom. Well, they still have to pay, for the services of the castle rest-home. the Fontainebleau frontage view, looks like one at the ready. who are running the olde folks castle itself. Detailing peerage ownerships, of castles such as de Carew. The Berry territory: Cher, Indre, and parts of Viennes. named by that surname, as the correct original deeded proprietor with rights to claim. formerly held by the governments of the old EU. under the names of national trusts and heritage society holdings. 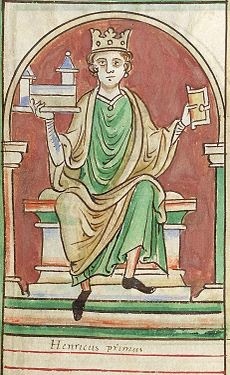 Habloid testing of the surnames from King Edward the III. Dysfunctioning Wales as a border territory within Great Britain. 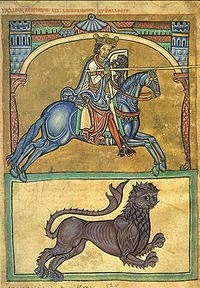 through the Vaux's of King Edward I.
to Ferdinand from Eleanor of Castile. "On demand are Horse parades for the Spanish castles. (All painted in Blue chalk Paint, S'il vous Plait.)" Kenilworth, painted by JW Turner. within the name held under the heritage councils. La Lorraine (bleu) et le comté de Vaudémont (orange) vers 1250. A database crew, could help coelesce, this EU castle collection business model. Further helping to release the EU and it's individual countries of their obligations, especially the older ruins; by returning them to their name-saked heirs and descendants for repairs and keeping. "Descendants of these Castles have an obligation to rebuild their historical sites. They are not for the EU, nor the EU taxpayers responsibility to claim. The Journey into the question of wonder, will finally be answered, and the "Vacancy of their Keepers" will be resolved, by restoring their native owners as their charge." Château de La Fresnaye in La Fresnaye-au-Sauvage. Birthplace of Nicolas Vauquelin Des Yveteaux (1567–1649), French poet. Château de La Roche-sur-Yon Destroyed during rebuilding the napoleonic era. Château Gaillard, 1196. Richard the Lionheart, Built in 2 years by Richard the Lionheart, early concentric castle of advanced design. Château de Caen, 11-15th century, restored, Built c.1060 by William the Conqueror, keep pulled down 1793, damaged by bombs during World War II. *the original surnames back to vau, roche, guy, and fon(t), ber, were originally clans of France. Variable endings parting ways and moving onto other districts. "I am named Rochefort, of the Roche Clan and declare these new lands as "Rochefort", as mine thus." as says one surnamed person, adamantly, to a person who shares his surname. 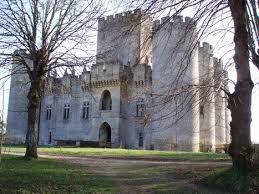 and the castle is thereby the families, and they have a place to stay on holiday. With higher amounts going for the longer stay persons. Free rents going to the surnamed castles, builder workers and estate keepers, during major reconstructions, later after the rebuilds, keeping a few of the free rent estate keepers for basic duties, gardens, greet and meets, etc. time the chateaus was built. Yet, they hold namesake value. The original seats were normally held by the Dukes, Counts, Earls, Kings and Queens, and even the Marquisse'. Whereas siblings of these chateaus were not always given such elaborately political obligations. because if one has an ancestor that held a high position, such as Duke, rather than a cousin with the same surname, they were not actually a legitimate blood-line from the keeper of the castle and region(s) itself..only the Duke's line is. deed, under the Kingdom itself. because they inherited the blood-line equally. they have to share the property. from the Vaux Kingdom expressly for this purpose, I am setting it at 5%.